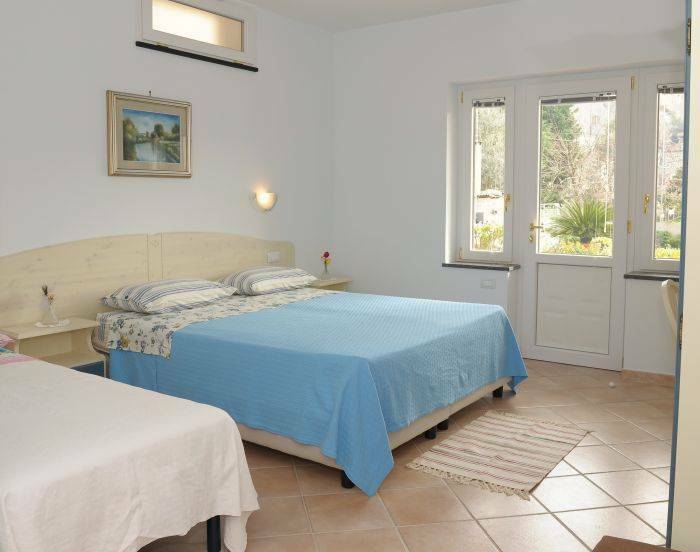 The Cottage Bed and Breakfast is nestled in the quiet hills of the Sorrento Peninsula a short distance from the sea, from the city center. 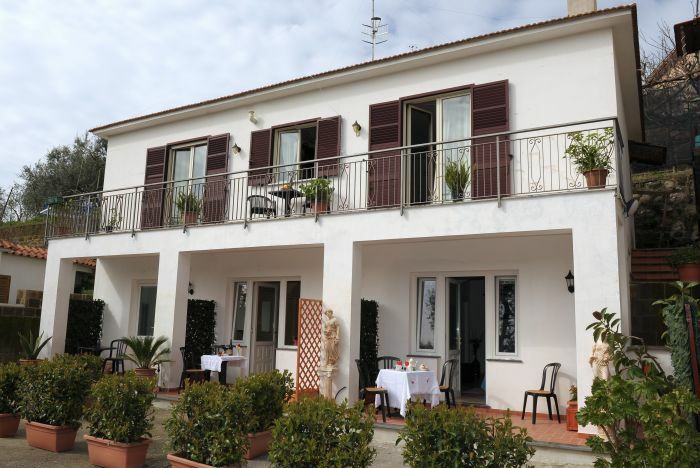 Its central location makes it an ideal starting point for a series of day trips to visit Sorrento, Capri, Pompeii, Amalfi and other beautiful resorts in the area, stop the 'bus is at the entrance of the structure, connections to / from Sorrento until late at night. Just 500 meters Private swimming pool, tennis courts. 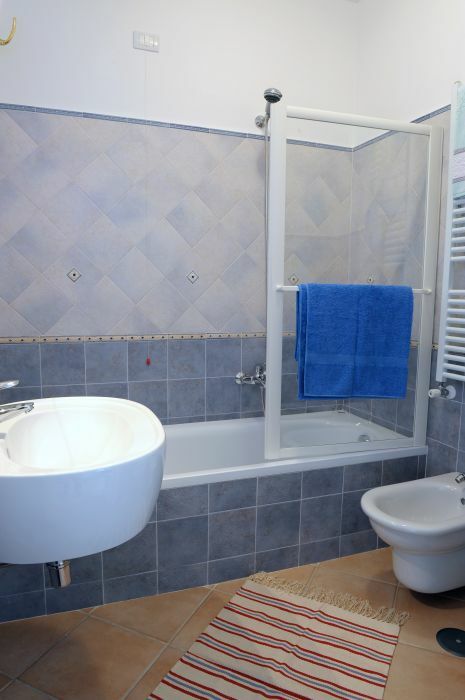 The Cottage offers the possibility of arrange transfers to / from Naples airport / train station with private cars and drivers qualified at very reasonable rates. "The Cottage" Bed & Breakfast has 3 rooms with private entrance and Terrazina with garden view, furnished, each one different from 'the other, are available with double bed, twin beds and possibility of adding a third bed. All rooms are en suite in typical Italian ceramics, bath or shower, bidet, hair dryer, security alarm and complimentary toiletries. Air conditioning with individual control, safe, LCD TV, desk with lamp, luggage carrier, modem. The Cottage is located in Titigliano (Monticchio), the historic rural town of Massa Lubrense, land of the myth of Ulysses and the Sirens, the B & B is particularly recommended for those who love being in touch with nature, walking through olive groves and lemon trees , was thrilled by the unique and beautiful landscapes that our region can offer. Located on the Corso Sant'Agata, 9 - Sant'Agata Sui Due Golfi (1.66 km). Naples Capodichino International Airport is 45 km from Massa Lubrense. From the station take the Curreri bus lines to Sorrento. From there take a taxi or bus SITA Titigliano (Monticchio) - the bb is located at the junction of Titigliano is visible through the banner at the entrance. Arrive to Naples. From the Porta Garibaldi Central Station take the train to Sorrento and get off Circumvesuviana and then take a taxi or bus SITA to S. Agata via mass or Nerano via Nastro Verde-bb is located at the crossroads of Titigliano is visible through the banner is ke entrance. From the North or South, take the A3 Napoli - Salerno, exit at Castellammare di Stabia. Continue along the highway SS 145 for Meta Sorrento. Continua straight to Sorrento. Turn left onto Via degli Aranci. Prendi the first right to stay on Via degli Aranci. Turn left onto Via Capo/SS145, Proceed straight until Massa, Massa make you reach for the "crossroads titigliano. The stop the 'bus is at the entrance of the structure, connections to / from Sorrento until late at night. Circumesuviana train station is only 3 km away. 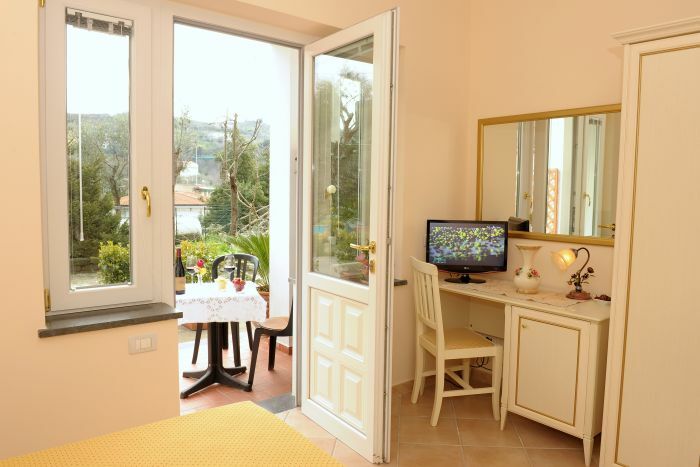 The Cottage "offers the possibility to arrange transfers to / from Naples airport / train station with private cars and drivers qualified at very reasonable rates.